Spectators are an integral part of a great race atmosphere. Runners at the BankNewport 10 Miler are tackling an impressive distance, and having cheering fans, friends and family along the course is often an extra push of motivation! Hand-operated noisemakers such as cowbells, funny costumes, music, and signs are great ways to cheer on all of the participants. Here’s the scoop on being the best spectators out there on the course this weekend! Click here for a race map, and click here for a map of the locations listed below! Spectators are welcome to bicycle or drive to watch their runners. However, cyclists must stay out of the running lane and obey all traffic laws. For those who plan to drive, we suggest driving the opposite way around the course to reach your desired vantage point to avoid runners and the most traffic delays. When you pull over, do not park on the course — park in designated parking lots or on side streets that are not a part of the race. The start and finish of the course also offers some of the best spectating! The first half mile and the final mile of the race are inside of Fort Adams State Park. Parking attendants will be on hand to help direct you to parking. There are grassy areas on both sides of Fort Adams Drive which are great places to stand and cheer. 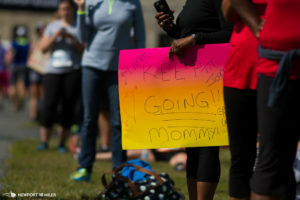 On the median at the Fort entrance, you’ll also find a cheering squad from The November Project Newport, as well as their friends from the November Project Providence and the November Project Worcester. If you wish to watch from the finish line, make your way up into the Fort where a designated spectator area will be available for fans of all ages! If you want to watch the finish we highly recommend arriving at the Fort at 8-8:15. For the safety of our runners, this will allow you time to park and get into the State Park before the lead runners arrive. There will be more-than-normal congestion, so leave plenty of time to get to the Fort and to park. There is a short walk from the parking area to the finish line. This spot on Ocean Drive offers some of the most stunning views of Narragansett Bay and the sea that Newport has to offer. With plenty of parking, it’s also a beautiful spot to cheer on your runner, or all of them! The accessibility to Ocean Avenue by car or bike make this the ideal area from which to watch. Use the side streets to cut across the inside of the course, rather than driving directly on the course. The intersections of Brenton Road and Ocean Ave., Hazard Road and Ocean Ave., or Carroll Ave. and Ocean Ave. are great corners for spectators. 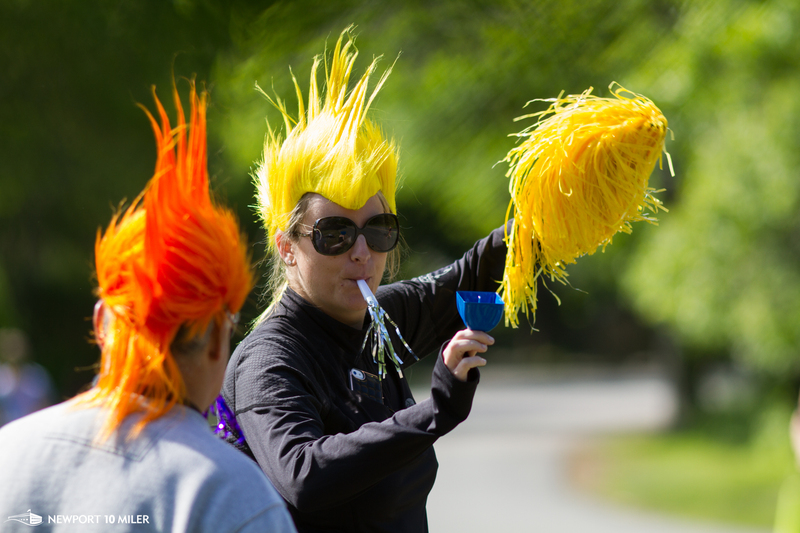 At the midway point of the race, runners will love having a cheering squad! The corner of Ruggles Avenue and Bellevue Avenue is one of the last major turns runners take on the course. They’ve completed the rolling hills on Ocean Avenue, the flat mile on Bellevue Avenue, and will be turning back towards the Fort. This is also the start of what could be the most challenging part of the course, as legs start to get tired and there are hills ahead. Your runner(s) will appreciate the extra boost here! 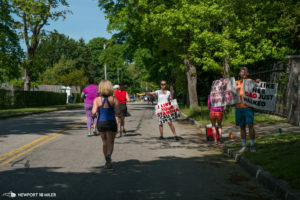 We do not recommend spectating from here if you plan to watch the finish and are traveling by car, as you won’t have time to get back to Fort Adams due to traffic congestion. Spectators, cheering squads, and fans are a major part of the fun at our events! We hope to see you out on the course cheering on the 3,000+ amazing runners who are taking on the BankNewport 10 Miler this weekend!